A smile is the world’s most powerful gesture. It can say a thousand kind things, from “it’s nice to meet you” to “I love you more than words can express.” A beautiful smile lets others know that you’re approachable, and it can even make you look younger than your real age. But what if your smile’s message gets lost behind unattractive teeth? 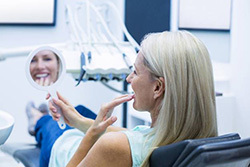 Your cosmetic dentist in Uptown Houston, Dr. Terri Alani, offers several treatments that aim to vanquish those aesthetic flaws and help you feel confident about what you see in the mirror. One of those treatments is porcelain veneers. Let’s talk more about how these custom tooth covers may be able to put a new spring in your step and a new sparkle in your mouth. As their name implies, porcelain veneers in Houston are very thin pieces of porcelain that your dentist attaches to the fronts of your teeth, thereby disguising cosmetic flaws. It is possible to get just a single veneer to cover a particularly unsightly tooth, but some patients choose to get anywhere from four to eight veneers in order to achieve a complete smile makeover. Most often, veneers just go on the top teeth, but it’s also possible to install them on the bottom. First, we plan your treatment. 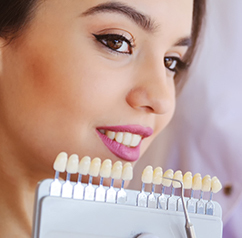 We make sure that your teeth are healthy enough to support veneers, talk about what you want to accomplish, and use a shade guide to select the perfect color for your new smile. We prepare your teeth. This involves removing a tiny bit of enamel so your veneers don’t look bulky or unnatural. We may numb you for this part of the process, so you’re unlikely to feel any discomfort at all. We take impressions and photographs of your teeth. These serve as the guide that helps a laboratory to create your custom tooth covers. We give you temporary veneers to wear until your permanent ones arrive in our office. We make any necessary final adjustments to the veneers and then attach them. You walk away feeling like a million bucks! It’s important that you don’t confuse porcelain veneers in Uptown Houston with dental bonding. Bonding is a separate cosmetic treatment. It also helps to improve teeth’s appearance by covering flaws, but it uses a composite resin instead of porcelain. Therefore, it is not as strong as veneers. It’s usually used to fix just one or two teeth and not to effect a dramatic, whole-mouth transformation. In some cases, a professional whitening treatment can get rid of stains. However, certain types of discoloration (such as spots from fluorosis) do not respond to bleaching. Sometimes, the only way to correct this unsightly problem is to cover it. Small gaps. When a child has a gap between their front teeth, it’s adorable. The same thing can’t be said of adults. Fortunately, you may not need to get braces in order to close that little gap and achieve a well-aligned smile. Veneers can create the illusion that your teeth are exactly where they should be. Minor misalignment. If your teeth are a bit crooked, but not to the point where the misalignment threatens your oral health, you may be able to opt for veneers instead of braces. Remember that time you bit down too hard on a jawbreaker and ended up with a chip in your tooth? A veneer can reshape that pearly white and make it look like nothing ever happened. Teeth that are too small. For your smile to be as attractive as possible, it needs to be proportionate. Some people are plagued by pearly whites that are too small to make you look like a confident adult. Veneers help to make your teeth look bigger. To gain a better idea of exactly what veneers can accomplish, we invite you to take a look at some of our before and after pics. 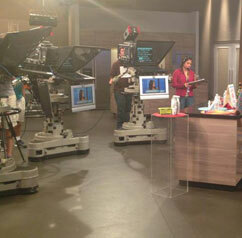 We think you’ll be amazed by what you see! Of course, if you still have questions about whether veneers can address your smile woes, we’d be happy to schedule a personal consultation with you. With proper care, veneers can last for 15 years or longer before they need to be replaced. Even in the rare instance that one one does break or fall off, getting your smile repaired just takes a visit to your dentist. Resistance to stains. Porcelain is a minimally porous material, which means that it does not stain easily. However, we still recommend that you take care not to expose your teeth to a lot of substances that could stain them. For example, it’s a good idea to enjoy coffee and dark wine in moderation and to drink them through a straw. We also recommend that you do not smoke cigarettes or use other tobacco products. 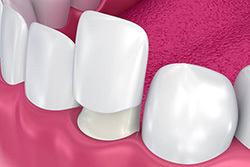 Even though veneers are quite thin, they offer impressive strength. As long as you are reasonable about how you use your teeth (don’t chew on ice, don’t use your teeth to open packages, etc. ), it’s unlikely that your veneers will suffer damage. This treatment takes relatively little time, making it a great alternative to braces for folks who have gaps between their teeth or other instances of minor misalignment. Possible improved oral health. 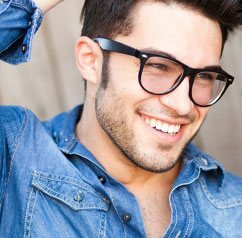 Your veneers are an investment, so you’ll probably be motivated to take great care of them. Taking care of them via regular brushing and flossing is also fantastic for the teeth underneath them! A natural appearance. You don’t have to worry that your new look will call the wrong kind of attention to itself. When they’re properly crafted and installed, veneers look very natural. That’s because they reflect light in a manner similar to that of regular tooth enamel. No one will have to know that you’ve had work done unless you want to brag about how amazing your veneers are. Most dental insurance policies do not help to cover the cost of porcelain veneers in Uptown Houston. Therefore, you likely have questions about whether you can fit this treatment into your budget. Whether you have your natural teeth whitened beforehand. We often recommend this because veneers do not respond to bleaching, so you will not be able to undergo whitening after the veneers are installed. Other preliminary work you might need. 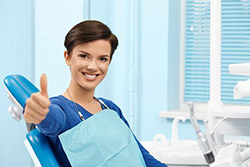 We want all of our patients to enjoy beautiful smiles, but oral health is always our top priority. Some patients need fillings, gum disease treatment, or other work done before they can focus on the aesthetic aspect of their teeth. How many veneers you want. As we mentioned earlier, some folks want a single veneer to cover a particularly pesky tooth. Others opt for a comprehensive transformation. We’re always happy to provide estimates on the cost of veneers. Although the treatment is expensive, we encourage you to consider the long-term value. Because veneers last for so many years, they may actually save you money in the long run over bonding or other cosmetic treatments. Besides, can you really put a price on the confidence that comes with a head-turning smile? We encourage you to talk to us about your payment options. We’re happy to accept major credit cards. CareCredit, a low to no interest healthcare credit card, may also be used to help you break the cost of your porcelain veneers into manageable monthly payments. Why Choose Dr. Terri Alani DDS for Porcelain Veneers? 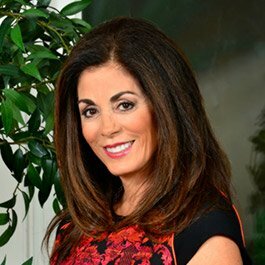 If you would like to get to know Dr. Alani more, you’re welcome to check out her YouTube channel, which she uses to educate patients about the wonders of dental care. Of course, you’re also free to contact our office directly. We would love to hear from you and answer all of your questions about porcelain veneers!